Do you own a Ledger Wallet or are you planning to use cryptocurrency wallet development services soon? Regardless of the reasons, you need to know if the digital ledger you are getting would support the cryptocurrencies that you have. You do not want to purchase something that you cannot use. It would be a total waste of money, right? Or maybe you want to create an app using the blockchain technology solutions. And for that, you need to understand all about how ledgers work. Ledger hardware wallets are a series of multi-currency wallets. And these wallets can store your private keys for cryptocurrencies offline. Currently, there are two of this hardware available in the market: Ledger Blue and Ledger Nano S. The two of these wallets support more than 700+ cryptocurrency blockchains. The list includes prominent cryptocurrencies, such as ethereum and bitcoin. The Crypto wallet solutions enable the user to perform a wider variety of available functions. Some of these functions are sending and receiving of bitcoin from blockchains or by running third-party applications of the device. For example, on popular sites such as Dropbox and Google, the users can run a universal two-factor authentication. Both of the wallets use a 20-word backup recovery phase. This is also used to access the user’s cryptocurrencies, in case the device is stolen which contains the private key. If you order the Ledger Nano S for the first time, you would feel that it is a confined one which can only use bitcoins. But that is not the case. As mentioned earlier, it supports many cryptocurrencies. With this now, you can easily keep all your cryptocurrencies safe and secure. If you have any plans of ordering a hardware wallet, then you need to choose the wallets that support the cryptocurrencies that you considerably deal in. In the beginning, you will only want to store Bitcoins. But, as you get to understand it more and more, you will probably save other coins too. 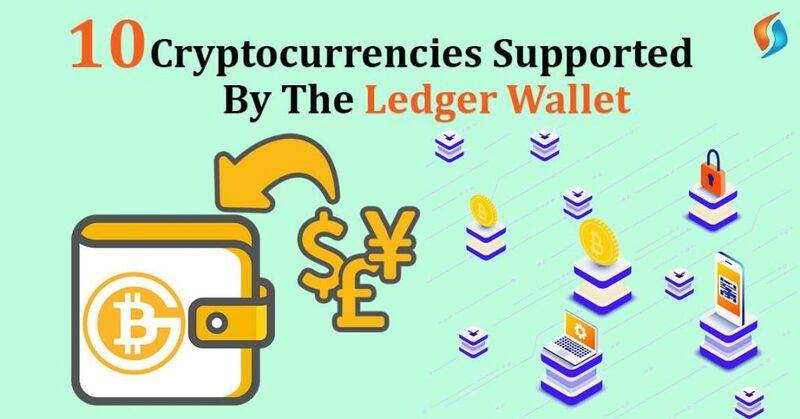 Due to the rapidly evolving world of cryptocurrencies, the blockchain consulting firms working on the Ledger wallet keep updating the wallet. They ensure that the wallet can support as many popular cryptocurrencies possible. If you have already invested in cryptos and need a safe wallet that would hold all you want, then you need the Ledger Nano S. It supports the most number of cryptocurrencies that are available till date. The very first cryptocurrency was Bitcoin that started as a paper authored by Satoshi Nakamoto. He was also the creator of Bitcoin. The title of the article was “A Peer-to-Peer Electronic Cash System,” and it came out it 2008. However, Bitcoin didn’t become famous. The world began to entertain Bitcoin in 2013 slightly. It was in 2017 that it became highly popular. Now, everyone is aware of it. Many new cryptocurrencies have also come into being. Another cryptocurrency that the ledger wallet supports is the Bitcoin Cash. It was in the mid-2017 when the Bitcoin cash was created. Some developers who had this desire to raise the block size limit came together to build a code change. This change was called hard fork and was created on 1st August 2017. It is the same as Bitcoin just that it allows more transactions. Created by the best blockchain development company in the US named Ripple Labs Inc., Ripple is both a platform and a cryptocurrency. Moreover, the platform is an open-source one allowing anyone to perform cheap and fast transactions. Ripple has its current named XRP. But this platform also will enable others to create their own via RippleNet. You too can create one too with the help of a blockchain development company. Released on 28 October 2016, Zcash is a privacy-based cryptocurrency. The intention behind this lies in employing cryptography for offering improved privacy for the users as compared to all the other cryptocurrencies like Bitcoin. Nonetheless, Zcash too has a total supply of 21 million units like Bitcoin. Komodo is also both a platform and an open-source cryptocurrency. It is more like the “part 2” of the cryptocurrency revolution. Its blockchain platform finds use in performing various transparent, private, anonymous and fungible transactions. It has recently become highly popular among the blockchain developers. In short, it is crypto that you should hold for long term. Mistakenly, many call ETH as Ethereum. But Ether is a cryptocurrency derived out of the Ethereum platform. Moreover, we can shift Ether within accounts. We can also use it to recompense the participants mining nodes for computations performed. Today, most of the cryptocurrency friendly countries provide all the necessary support for its development and promotion. An open-source cryptocurrency, Vertcoin was developed in 2014 and aims at decentralization. It uses the proof-of-work mechanism for issuing the new coins. This is also used to incentivize the miners for securing the network and validating the transactions. Ethereum Classic is the forked version of the Ether cryptocurrency making it different. ETC has different Blockchains which are independent of one another. It was forked to introduce the ETC when Ethereum was split in two (ETC and ETH). Stratis is a blockchain-based platform developed by an excellent blockchain development company. It is the platform that developed the STRAT currency. This is used to develop your own ICOs, running on the Stratis ICO Platform. Moreover, we can also use the STRAT cryptocurrency to authorize “federations” for creating and securing Stratis Sidechains. As people learn more about cryptocurrencies, new ones are born. Thanks to the various companies offering wonderful blockchain application development services. Hence, there are now more than 700 cryptocurrencies/tokens which have got the support of the Ledger Nano S and in-use by millions. In short, if you are a long-term cryptocurrency holder, then you should buy the Ledger Nano S. Also, if you are not yet investing in cryptocurrencies, you need to begin doing so. It is the most secure way of gaining wealth. If you are in a country where you can buy Dash, ETH, LTC, or other cryptos directly, it is the best thing. And when you get your cryptocurrency, it is essential that you get a wallet. You would have to secure them with a hardware wallet like the Ledger. On the other hand, if you are hoping to create new software using the blockchain technology and need some blockchain consulting services, then Signity can assist you with it. With a professional team and many years of experiences, you will get the best guidance. Contact our IT outsourcing services today!